These slicers are hand made by Italian Craftsman in a elegant and vintage style. 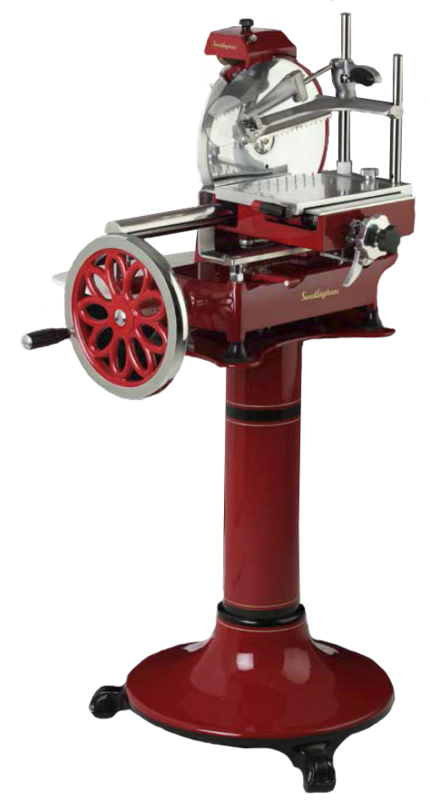 The flywheel manual slicer is made of aluminum and stainless steel. This unit is fully hand-operated and features a built-in sharpener and mechanical thickness adjuster, as well as a protection ring around the blade. The brilliant stove-enameled finish is available in red.